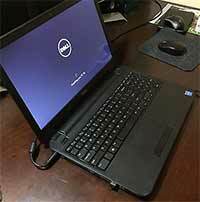 Dell Inspiron 15 i3531-3225bk is a fully functional laptop under $250, another budget device from Dell. 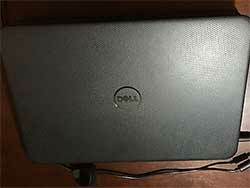 The minutes using it out of the box, I am blown by the Dell Inspiron 15 i3531-3225BK quality. For $250 I paid for this machine, paid it less in this place, the build quality, 15″ screen and the trackpad are just more than I expected. I think this laptop blows away the competitors, especially for a sweet deal like this. Nothing is special with the case, it’s build from plastic, but it feels pleasant, and not looking cheap. Trackpad is decent, comfortable keyboard to type, and decent screen. It doesn’t have the best viewing angles, but the viewing angle is quite good. If you get this Dell Inspiron 15 i3531-3225BK 15.6-in Laptop (Intel Pentium Processor, 4GB RAM), I recommend to update the computer, I notice the speed increase after updating my laptop. I also remove the McAffee anti virus software and then enabled the pre-installed Windows Defender, it makes your laptop slightly faster without it. To remove the antivirus, in Control Panel, you will find “Programs” click ‘Uninstall a Program‘. Then look for the McAffee, you’ll see it on the list, select it, then click ‘uninstall‘ button. Follow the instructions. Next when you use laptop, Windows will give you warning that anti virus isn’t enabled, and it will enable Windows Defender automatically. The touchpad has 1-finger gestures, and I disabled after reviewing other settings for the touchpad – it’s personal preference. To be able to restore your laptop with the out of the box factory configuration when something happens, use the “Dell Backup and Restore” to backup the factory laptop setting using a flash drive. 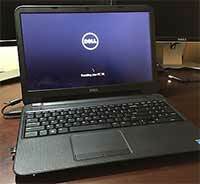 Here is a tut to find your Dell Service Tag. Alternatively, check on this instruction to backup. – This laptop doesn’t have optical drive. In the place where the DVD drive should be, you will find a plastic spacer. And there is no SATA connector behind this hollow plastic spacer, so you can’t replace it with another HDD or an optical drive with a caddy. Just get an USB external DVD drive if you need one, it’s only 20 bucks. – It doesn’t come with Bluetooth, ethernet, and USB 3.0, there are only 2x USB 2.0 ports and HDMI. Easy Access to upgrade your RAM and to replace HDD with an SSD. The bottom of the laptop has a panel to access the memory and HDD, so you don’t have to remove the keyboard. I upgrade it with Samsung 840 EVO 120GB SSD and Kingston 8GB 1600MHz DDR3L. There is only a memory slot, and it will take max 8 gig. And it has to be a DDR3L not a DDR3. I don’t recommend upgrading if you don’t know what you are doing, and it can be more expensive with extra work, if you want a good laptop with more specs but still affordable you can check out this ASUS model that already has 1TB HDD, an i5 CPU, and 8 gigs of memory without upgrading the laptop itself. I had Windows 8.1 extra key, so my total cost to run this on SSD and 8 gigs of RAM is, $407 ($249 laptop + Samsung SSD $83 + Kingston 8GB RAM $75). Price can be different everyday if you buy from Amazon. Pretty snappy out of the box (Intel Pentium quad core N3530 is slightly better than the BayTrail CPU). I own a few Chromebooks before, and seriously, for under $250 here, this Dell Inspiron 15 i3531-3225BK is very good. It beats Chromebooks both in price, and full laptop functionality. Keep in mind Chromebooks cannot run most Windows programs like skype, so look at this Dell i3531-3225BK too!